Fine Decorative Wooden Dice Box Games Available In Different Sizes. We are leading manufacture all kind of handicrafts items. Wooden Dice Box with brass work. 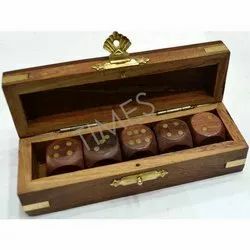 We are one of the prevailing providers of Wooden Dice Box in the market. 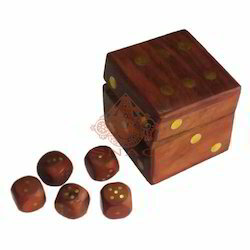 This small wooden box, shaped and made to look like a large die, contains five hand carved wooden dice. The presentation box is approximately 2.5" x 2.5" on each side.